Don’t leave your first impression to chance. Play it smart and create a roadmap that helps you prove your value from day one. When you’re the new head of PR, you’re on the hot seat right from the beginning. With the media asking questions and your colleagues pressuring you for results, you don’t have the luxury of ramping up slowly. Our exclusive ebook offers insights and teaches you how to identify opportunities, establish your reputation and avoid the pitfalls of a powerful new job. 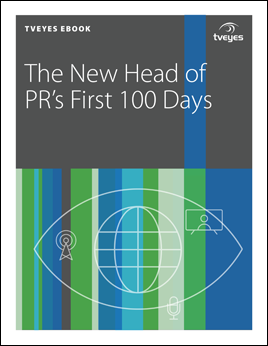 Download your free ebook – The New Head of PR's First 100 Days - today!